Xbox Chief Phil Spencer couldn't care less that Sony plans on updating the PS4 in 2016. At a roundtable held at Microsoft's Build Developer Conference this week, Spencer made it clear that when Microsoft makes another system, you can be sure it will be a true "upgrade." "I'm not a big fan of Xbox One and a half," Spencer told Game Informer. "If we're going to move forward, I want to move forward in big numbers. "For us, our box is doing well. It performs, it's reliable, the servers are doing well. If we're going to go forward with anything, like I said, I want it to be a really substantial change for people – an upgrade." Sources close to The Wall Street Journal recently corroborated an earlier report that said Sony has plans of creating a PS4.5 (also known as PS4K), a decision that have some parts of the gaming community up in arms. Spencer was in the spotlight last month when he made some cryptic comments about the future of Xbox One at Microsoft's Spring Showcase in San Francisco. "You'll actually see us come out with new hardware capability during a generation allowing the same games to run backward and forward compatible," Spencer said. 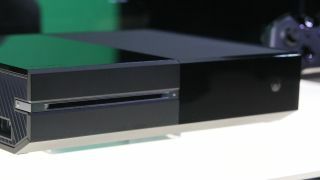 While today's news might contradict last month's report of new hardware, the Xbox Chief has said on multiple occasions that his vision for the platform focuses on software updates like the New Xbox Experience, DirectX 12 and Universal Windows App. He also wants to work towards uniting Windows 10 PCs and Xbox One consoles instead of pushing out incremental hardware updates.